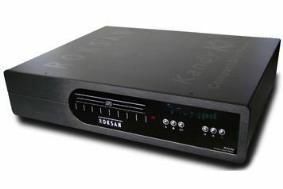 Roksan offers five-year guarantee on all new hi-fi products | What Hi-Fi? As a gesture to its existing customers, the guarantee will be extended to all current owners of Roksan K2 products. The warranty will also be transferable from one owner to the next during the five-year period, provided the product remains in the country it was bought in. Roksan's managing director Tufan Hashemi says: "There are times when we need to be bold and give our customers support and pride of ownership in a quality Briitish product."